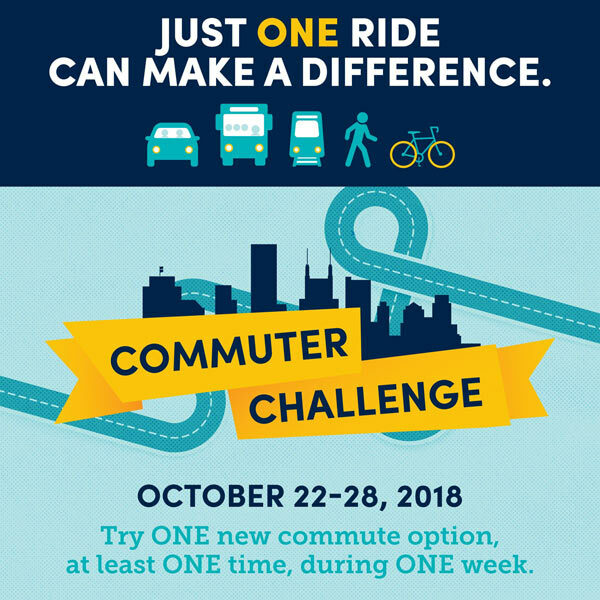 Vanderbilt faculty and staff are encouraged to participate in this week’s Commuter Challenge by registering and trying at least one new commuting option Oct. 22-28. 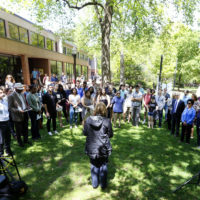 The challenge, hosted by Nashville Connector, includes all Middle Tennessee employers and employees, including all of downtown Nashville. Employees can participate in a variety of ways, including carpooling, biking, walking or taking advantage of the free WeGo EasyRide program. 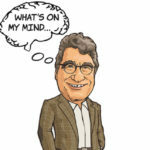 Sign up for the challenge here and receive a toolkit with next steps on how to get engaged in the competition. Be sure to fill in “Vanderbilt University” in the employer field. At the end of the challenge, Nashville Connector will recognize companies with the highest rate of participation and the most creative participation among their employees. 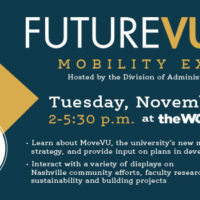 For more information about mobility at Vanderbilt, plan to attend the FutureVU Mobility Expo from 2 to 5:30 p.m. Nov. 6 at the Wond’ry. 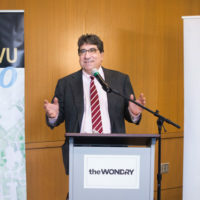 Explore the university’s mobility and transportation progress and plans, including FutureVU plans for campus transportation, parking and mobility; a sustainability overview; and food, prizes and giveaways.